There aren’t usually “endings” for mulitplayer games—it keeps going until people stop being interested. But the developers behind multiplayer horror game The Flock have different plans. The community has a finite number of lives burn through, and when they’re gone, it’s all over. Set in the year 3000, an unrecognizable Earth is in ruins. Centuries of devastating pollution have blocked out the sun, blanketing the planet in darkness. No longer able to support human life, a horrifying race of monstrous creatures known as the Flock is the world’s new dominant species. That is, until the emergence of the Carrier. 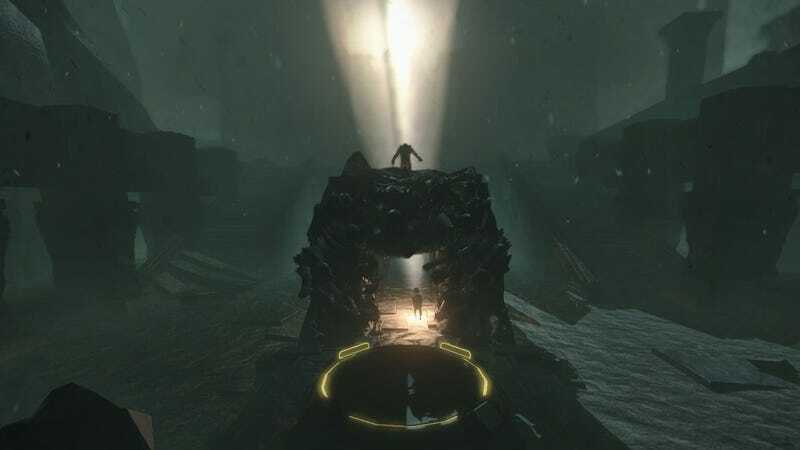 Each player begins as a member of the Flock, when a strange light emitting device known as the Light Artifact will suddenly appear somewhere on the map. The first player who touches the Light Artifact will transform into the Carrier, who then becomes the hunted. Like any multiplayer game, you’ll be dying frequently in The Flock, but each death counts for something more than a kill/death ratio. The game’s menus, Steam page, the developer’s website and The Flock’s subreddit will be constantly updated with how many “total” lives are left. You’ll be constantly reminded how your successes and failures are playing into the bigger metagame. What happens when the lives are gone? Players will witness a “memorable climax,” whatever that means. Practically, multiplayer turns off. The Flock is not playable offline. It’s an interesting stunt! How players will respond to it when The Flock is out later this year, however, remains to be seen. I’ll definitely be watching the numbers slowly tick down.